While every season brings its own challenges, winter tests your home’s ability to maintain its comfort level the most. There are many ways that you can make preparations around your home during fall that will help your home fare better in winter. Here are some steps to prepare your home for winter. It’s a good idea to schedule an inspection for your furnace every fall to make sure it’s prepared for winter. Not only is it sometimes required to keep a warranty valid, but it is the best way to avoid any heating issues during the colder months. Have a professional check your furnace and then perform any recommended maintenance. Fall is the perfect time to check the insulation in your attic and basement. The insulation is your home’s main barrier against the winter cold and it can lose its effectiveness over time. You may even have areas in your home that don’t seem to get warm. This can be alleviated with different types of blown-in insulation. Having your home well-insulated will keep you and your family comfortable and will also save you money on your heating bill. Storm windows are a very effective way to help insulate your home against the winter weather. Fall is a good time to make sure all of the windows are in good repair and fully functional to prepare your home for winter. 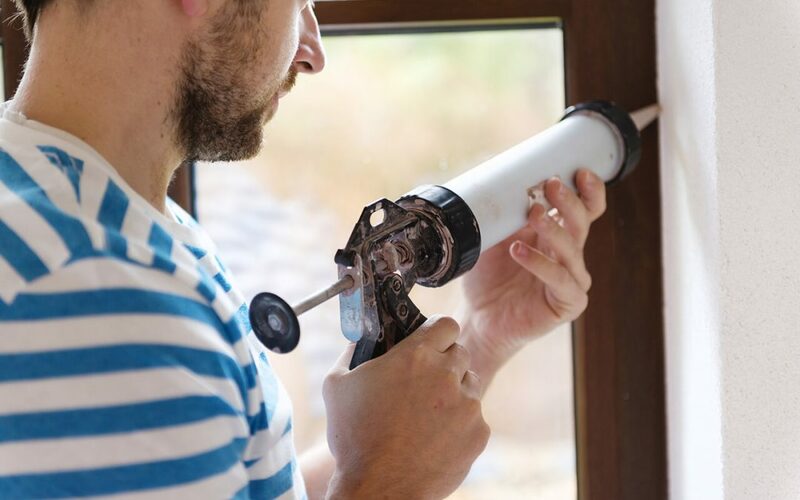 The caulking on your home’s windows will erode over time. Sometimes, windows may need a fresh application of caulk to seal up tiny gaps and cracks. This will keep cold air from leaking into your home. Sometimes, especially in older homes, cold air can leak into your home around the openings of doors and windows. You can buy DIY weatherstripping kits at a hardware store that are easy to install. Add weatherstripping to all your doors and windows that don’t have it before the temperature drops. You may have invested a significant amount of time and money in your landscaping and don’t want the winter to ruin it. Just as you maintain it throughout the year, you will want to make sure it is prepared for winter. It’s good to schedule a final landscaping or yard clean-up to make sure everything is tidy and in good shape to survive the weather change. In areas that are not used to heavy snowfall throughout the winter, cleaning up after a winter storm is always a challenge. Salt or ice melt is often more difficult to locate after a storm since this is when everyone else is buying it. It’s a good idea it be prepared and buy ice melt before the season starts in anticipation of ice and snow. If you have pets, you probably have a dedicated area outside for them. Some homeowners with pets prepare a covered area out of the wind so their pets have a protected outdoor space over the winter months. Be careful about leaving them outside for long in sub-freezing temperatures. These are just a few ideas that will help you to prepare your home for the winter. The proactive approach is always better than trying to fix things in a cold and uncomfortable home. Top 2 Bottom Home Inspections provides home inspection services, including single component inspections, to Nashville and the surrounding areas. Contact us to book an appointment.